It is a well-known fact that every thing is antagonistic towards the rest and attempts to save only itself. This fact can widely be observed in both individual and collective human life. The said antagonism in collective life is evident when a researcher endeavors to explore the abnormality of Indo-Pak relations. As usual, these relations are again on the verge of confrontation in recent days. Here, what is relevant is why the two sides often develop animosity. In terms of reasons, this confrontational and jingoistic attitude in recent days is the outcome of what scholars call a stability-instability paradox. Actually, the stability-instability paradox is a state of relations where nuclear capable rivals appear confident about full scale escalation. That is why they engage in proxy wars in order to weaken each other. In this game, they sometimes come to a confrontation and then situation becomes grave. Pakistan and India seem once more on the brink of a confrontational volcano caused by the politics of rivalry throughout the existential period. The heat of acerbic words that the two sides' jingoists frequently utilize is a harbinger of much costly events that may come. The Indian ex-spy operative unveils the security plan to the central government in order to cope with the so-called security threat. Ominously, he posits starting a nuclear war against the energetic rival Pakistan. This triggers counter-statements from the Pakistani side where the passion for defending their homeland is self-evident. Thus, it is obvious that the two sides may become embroiled in the bloodiest war of the time. The current heat is the reflection of deep thinking aimed at forsaking the investment pools, announced by the various actors in Pakistan. Among them, the Chinese are prominent with the notable CPEC project, valued at 46 USD. 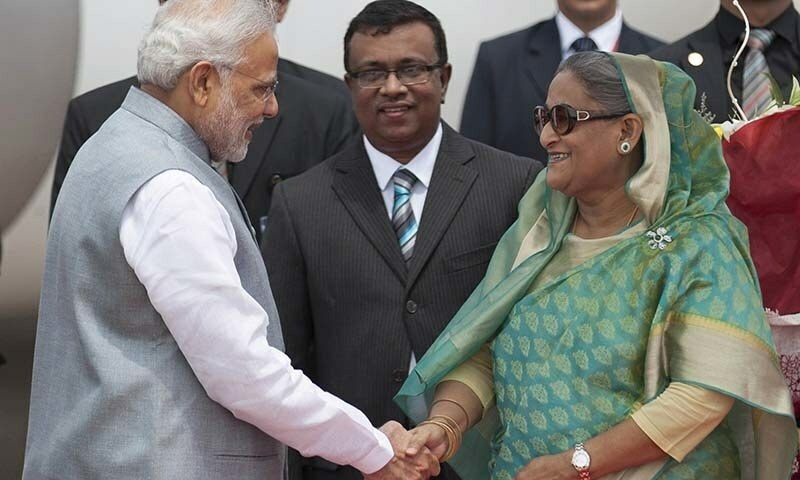 Indian ambitions against Pakistan are an open secret, as confirmed by recent statements by Narindra Modi, who mentioned the pivotal role of the creation of Bangladesh and a disintegrating Pakistan. That is how the two sides often come to a stand-off scenario. This is what must be discouraged. The global community should take notice of what the Indians state and what they undertake accordingly, making efforts toward normalizationadmissible. In this game plan, the only solution for regional stability in SA is dependent on both sides' decision makers' quest for cooperation. This can only be carried out when high profile interactions continue to take place. That is how reciprocal understanding of burning issues would be achieved. Saying not to interact with Indians is a kind of jingoism. In paralell, the pursuit of India's favor without understanding the severity of regional politics is irrational. Therefore, the concurrent pursuit of idealistic and realistic approaches is relevant to getting rid of the recent confrontation. This is only possible when said interaction takes place. In this regard, Pakistan is in the lead showing its desire for continuing dialogue. India should also follow this path of peace, which is valuable not only for Indian economic stability but also for regional and global growth.